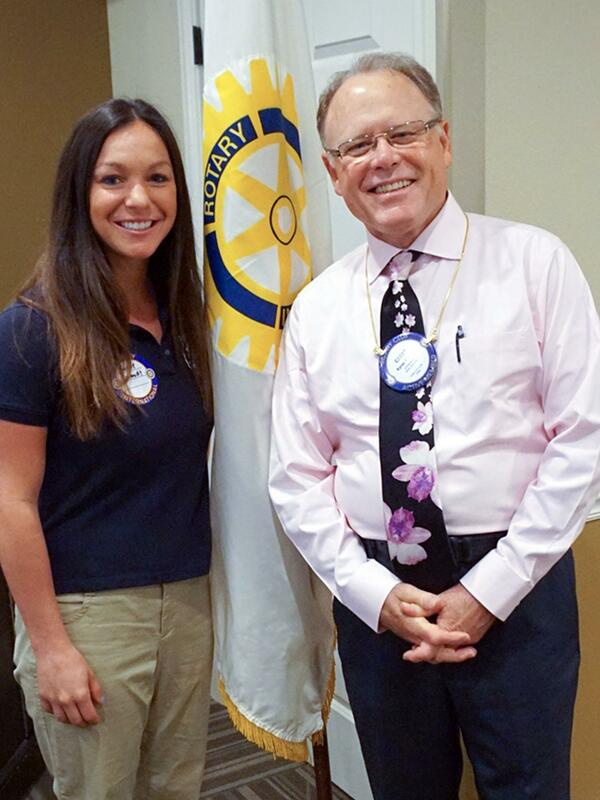 Rotary File for July 26, 2016 | Rotary Club of Iowa City A.M.
Casey Cook introduced Andree Schmidt as the week's speaker, who is an Acquatic Rehab specialist working at the North Dodge pool. Myrene Hoover moderated the meeting because Deb Dunkhase was in Guatamala preparing for the next IA MOST along with Karin Franklin and Nancy Pacha. This is the last week for the Crisis Center "Food Fight" among Rotary Clubs. AM Club has contributed over 7000 lbs to date. Dues notices have gone out via email. Let Gary Haymond know if you did not receive one for this quarter. Pat Schnack indicated the Meals on Wheels program could use some extra help on other days than the Tuesday we deliver to cover people who are on vacation. Let Elder Services know if you are available. August 5 at 3 p.m. we need volunteers to come to the Ockenfels hangar at the IC Airport to help cut out fleece for scarves to take to Guatamala during IA MOST. Bring shears if you have them. We will cut out approximately 800 scarves. Loads of Happy Bucks were shared. Andree Izoco Schmidt is originally from Los Banos, CA. She moved here a year ago with her husband who is from the Solon area. Casey met her when he was looking for some excercises to use after knee replacement surgery and learned about her Water Aerobics program at North Dodge Athletic Club. Andree learned to swim at the age of 4 because her parents were afraid of the water and did not want her to be similarly handicapped. She took to it so much that now she is in the water from 5:30 am until 7:30 pm with all kinds of water aerobics classes and regular swimming lessions. Her teacher was a German Aquatic Therapy instructor who was working in the Santa Barbara area wwhen she was training. She followed him to Germany for awhile to work with his clients. Andree works with every age group from babies to senior citizens. Many people are in need of therapy after surgery and water therapy is easier on the joints than other kinds of aerobic activity. There are all kinds of skill levels among her clients from people who are just learning to swim to people working to enter a triathalon. You don't need to be a North Dodge Athletic Club member in order to join one of her classes, but members do get a discount.